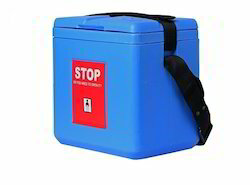 Leading Manufacturer of small size vaccine carrier, ice pack, iinsulated boxes, small cold box, blood bag carrier and large cold box long range from New Delhi. Weight Fully Loaded 2.0 Kgs. Medical Equipment India is manufacturer and all its Small Size Vaccine Carriers are approved by World Health Organization (W.H.O). Weight - fully loaded 2.0 Kgs. Weight - empty (with empty icepacks 1.0 Kgs. Gross Weight (approx.) 16 Kgs. Gross Weight (approx) 21 Kgs. 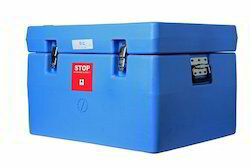 Medical Equipment India is ISO 9001:2008 certified manufacturer & Exporter of CFC-free Cold Chain Equipment – Insulated Boxes, Cold Boxes, Vaccine Carriers, Ice Packs approved by UNICEF, World Health Organization, & C.E. 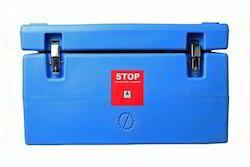 Cold Chain Equipment is the lifeline for heat-sensitive vaccines and is essential for transportation of these vaccines from the place of manufacturing to the place of field storage and final carriage to the place of immunization. 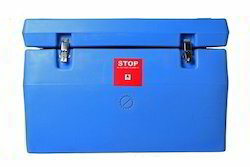 Thus, CFC-free cold chain equipment ensures a pre-determined safe temperature range (-3 to 10 C) for a particular period known as cold life of the product.The cold life period varies according to the product classifications made by WHO i.e for large equipment like cold boxes the cold life is higher. 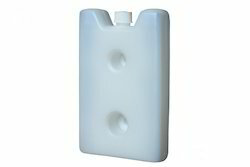 Capacity from 0.86 Litres to 23.3 Litres. Weight Fully Loaded 26.6 Kgs. 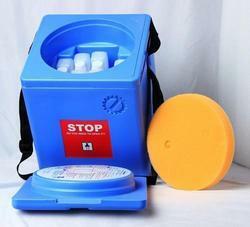 We are leading in providing Small Cold Box for our customers. Weight Fully Loaded 33.2 Kgs. WHO approved Blood Bag Carrier . Weight - fully loaded 33.2 Kgs. Weight - empty (with empty icepacks 14.5 Kgs. Weight Fully Loaded 49.5 Kgs. 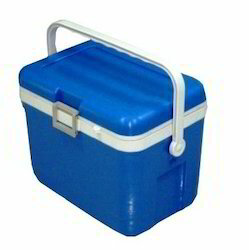 We are leading manufacturer of Large Cold Box Long Range. Weight - fully loaded 49.5 Kgs. Weight - empty (with empty icepacks 21.9 Kgs.